Very grateful to the Apollo Bay & District Community Bank Branch for sponsoring Marrar Woorn Apollo Bay Neighbourhood House this year. What will we be doing with all this good will?? It will go towards the purchase of new chairs throughout the facility and some new tables as well. 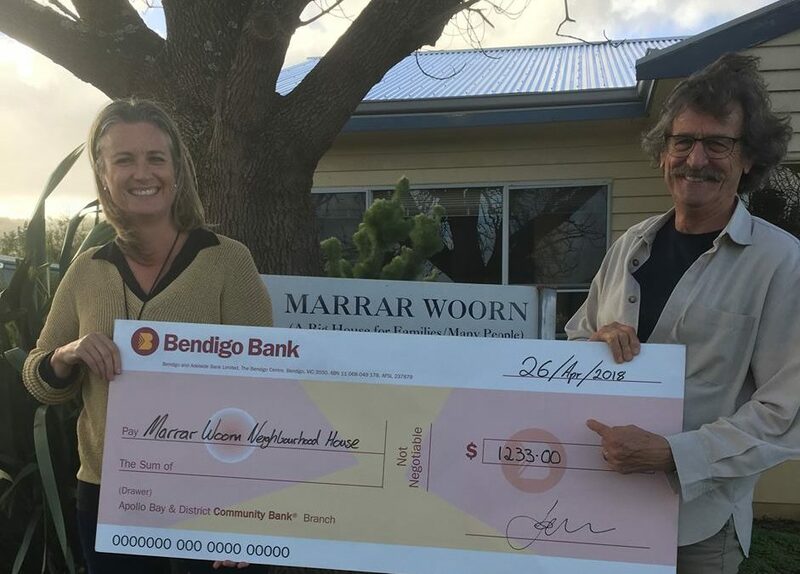 This will certainly bring some seating comfort to all the local community groups and individuals who work, learn and ‘play’ at Marrar Woorn. So thank you Jenny Rippon and her team at our local Bendigo Bank – your ongoing support makes a measurable difference in our community.